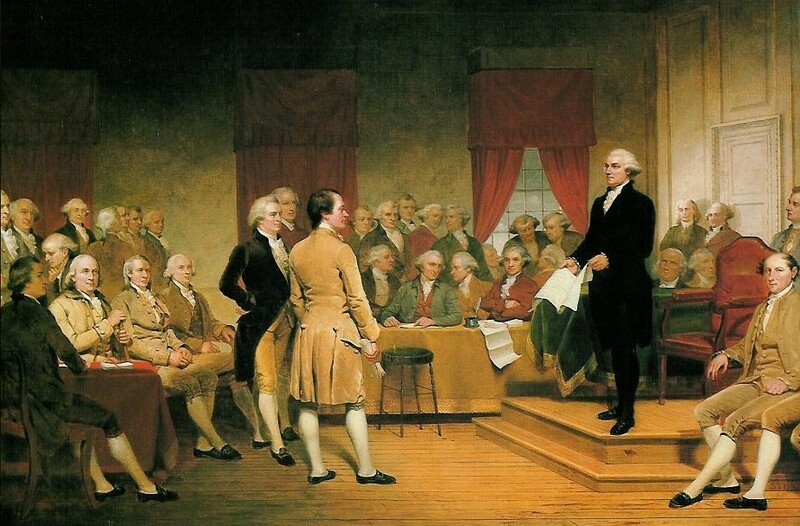 During its first years as a country, the United States was governed by a parliamentary system of government. The Congress of the Confederation enacted all legislation, and one of its elected members was designated President of the United States in Congress Assembled, who served a one-year term. That changed in 1789 when the Constitution of the United States came into effect. George Washington was elected first President of the United States under the new constitution February 4, 1789. He began serving on April 30, 1789. Continue reading "America’s first presidential election"
January 31, 1801 marks the anniversary of John Marshall’s appointment as Chief Justice. Just weeks before the second President of the United States, John Adams, left office, he nominated Marshall and made sixteen other appointments of federal court judges, all this to protect his legacy against the incoming President-elect, Thomas Jefferson. President Franklin D. Roosevelt also tried (unsuccessfully) to pack the Supreme Court to protect his New Deal policies against Supreme Court decisions. Machinations around federal court appointments continue to this day. Continue reading "Judicial machinations in the District of Columbia"